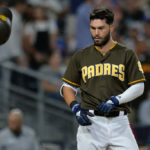 On a day where Jackie Robinson was honored throughout all of Major League Baseball, Joey Lucchesi pitched efficiently but threw a couple of mistakes, and the Padres offense stayed quiet, allowing the Rockies to take down the Padres 5-1 Monday night. The Rockies struck first in the top of the second through an Ian Desmond double, which plated Reynolds and Trevor Story, giving the Rockies a 2-0 lead. 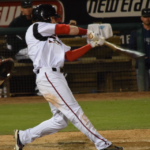 Lucchesi would settle down in the third and fourth innings, working his way quickly through hitters, getting ahead in counts, and sending the Rockies down efficiently. 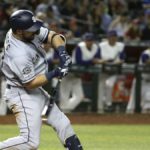 Keeping pitch counts down is crucial for the Padres starters because the bullpen has pitched the fifth most innings in baseball this season, and only two times have Padres starters gone longer than six innings this season. 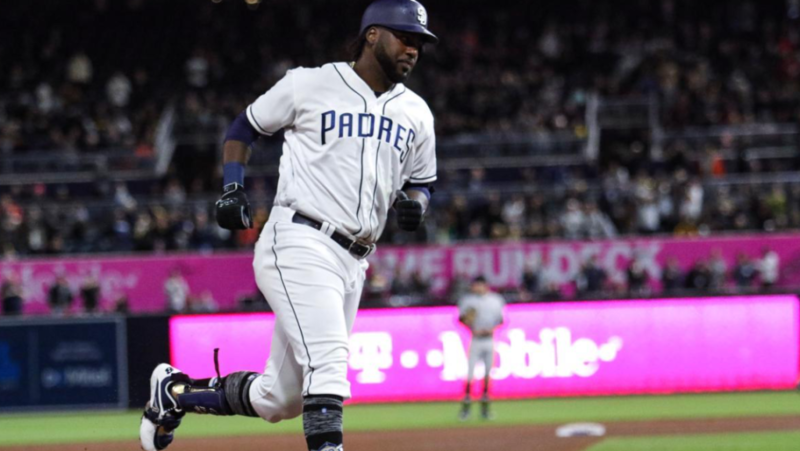 Franmil Reyes would answer for the Padres in the fourth inning. What was impressive about his solo shot was he sent it to the opposite field, displaying his strength while still being able to muscle the pitch out to deep right field. His blast was launched off his bat at 112.5 mph and landed in the right-field bleachers 376 feet away. 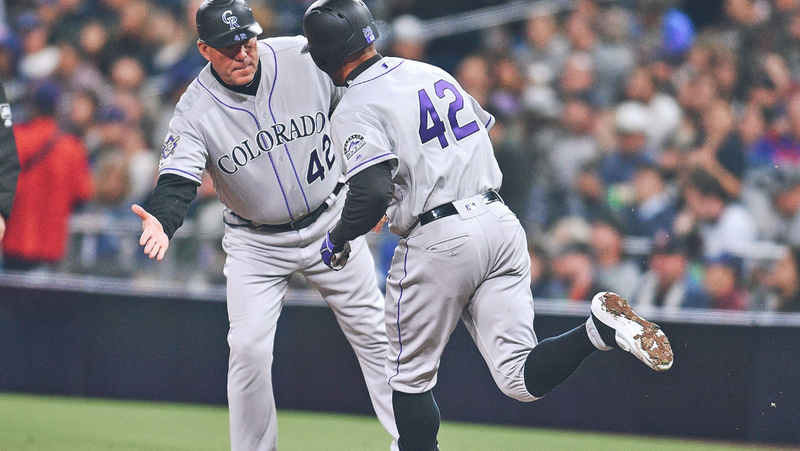 After Reyes took Antonio Senzatela deep, the Rockies would plate a couple more against Lucchesi in the sixth and seventh innings courtesy of two home runs. Nolan Arenado punished a Lucchesi mistake in the sixth, launching a ball 408 feet, while Desmond homered in the seventh. Blackmon would add an insurance run later in the seventh thanks to a ground out which scored Butera. Most fans did not think they would get to see Luis Perdomo pitch in San Diego this season. 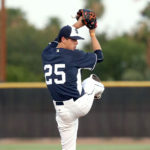 However, the right-hander made his season debut and looked sharp in his two innings of work during the eight and ninth innings. 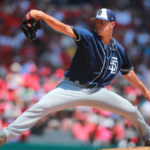 He threw at a much higher pace and tempo than we have previously seen from the 25-year-old and was mostly effective with his fastball, changeup, and slider mix through his two innings of work. Perdomo threw 22 of his 28 pitches for strikes, something he has not done in the past. He also worked his way out of trouble in the ninth after allowing a leadoff triple, before holding the runner there and not allowing him to score, which is not something he may have been able to do a year ago. 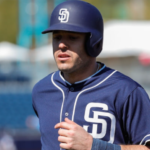 The Padres would start their comeback attempt in the ninth inning courtesy of Wil Myers. The 28-year-old sent a pitch to deep center field, and the ball even cleared a palm tree out in center field. His home run landed 428 feet away and left like a rocket off his bat at 110.2 mph. It was Myers fourth home run of the season and number 100 of his career, bringing the game closer 5-2. After Myers hit a home run Austin Hedges doubled, and Bud Black decided to bring Wade Davis in. He walked Luis Urias on four pitches, bringing the tying run to the plate. 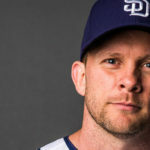 Andy Green put in Ian Kinsler to pinch hit in the pitcher’s spot, and with two out the 36-year-old could not check his swing on what would have been ball four, and struck out to end the game.